We examine rising knife and gun violence in the UK from a self defence perspective. Watch a documentary about knife attacks and knife culture in London, examine some of the latest violent crime statistics from the Office of National Statistics as well as examine some real case studies of knife and gun attacks. It's a deep dive! In this article, we go deep on knife and gun violence in the UK. All for self defence knowledge. How do you prepare for a sudden and unexpected violent self defence encounter? What is more concerning about this sort of self defence encounter as opposed to one you can see developing? What is self defense? What is it really? What should it be? What is the state of the self defense industry? Simple questions at face value but many important points can be drawn out from analysing them. Firstly, we determine that existing definitions of self defense are seriously flawed. Secondly, we explore a new updated definition that is much more useful. Thirdly, we identify that the self defense industry is doing a very poor job of teaching students useful self defense knowledge and skills. Fourthly, the martial arts industry is no better at teaching self defense skills. And finally, we realise that there is almost no serious consideration of the legal use of force. A massive oversight. We also cover much more ground. This is a long post - over 3000 words so get yourself a coffee before diving in. Gun violence and gun crime in the US. Quite an emotive topic for some. However this post looks straight at the data and truths surrounding gun violence in the US so we can have a better understanding of how it happens and how we can defend against it. This is one of the longest posts to be published on Low Tech Combat so strap yourselves in. We also have a whole heap of charts and images (13 in total) to portray the information as efficiently as possible. Is violent crime trending upwards like some claim? Or is something else going on? Are some areas far worse off than others and skewing the figures? Let's have a look. ...extending opportunities for later-life education and training could help combat social exclusion and crime. Interesting to see if this is replicated elsewhere. Self Defense Smarts - our new ebook on Amazon! I recently launched my first book on Amazon! It is called Self Defense Smarts. After being listed on Amazon for the first 24 hours it went to #1 in Violence in Society and #1 in Martial Arts. It also broke through the overall Top 300 mark for the entire Kindle marketplace (not bad for a self defense book). I am so happy with how it was received! Some of the first reviews started to come in during those initial days. All five star reviews so far!! (Reviews are continuing to be provided - check the Amazon page for updated reviews). The ebook is essentially a ‘best of’ from articles featured here on Low Tech Combat over the years. 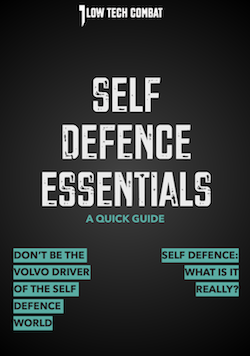 I have also written a couple of extra exclusive chapters just for Self Defense Smarts. The new chapter I am most happy with explores how we can utilise risk management principles for smart self defense. I think most Low Tech Combat readers will really like that one. What is Strategic Self Defense? What self defense school or martial art is right for you? What is the full spectrum of human to human conflict? Can you be stabbed with a weapon and not know it? Is grappling a smart thing to do when there is a knife involved? What are the colour codes of awareness? Is killing someone who broke into your home self defense? Are combat sports a waste of time for self defense? The best improvised weapons in the world. Self Defense Smarts is packed full with well over 50,000 words and hundreds of pages. It is not one of those teeny tiny ebooks. Self Defense Smarts will be a great and convenient way for you to have ready access to the best articles from Low Tech Combat over the years. I like reading books in Kindle because of the easy searching, highlighting and note taking. The popular highlighted sections are always interesting as well. Check it out on Amazon and see for yourself. I hope you enjoy it! Can I ask of you just one thing? 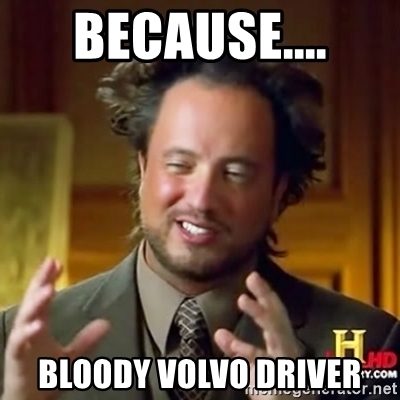 I have just one big favour to ask. I would greatly appreciate it if you could leave an honest review on Amazon. The number and ratings of reviews are a key indicator for Amazon to identify that a book is doing well which can push it up the best seller lists. The further up the lists it goes the more people get exposed to it. I want as many people as possible to have the opportunity to get their hands on this book. Leaving a review would be a great way you can help contribute to this ebook being seen by as many people as possible. P.S. Yes, I know. To my Australian readers I know I am spelling 'defense' the American (wrong) way. By far, the biggest section of my audience is from the US and I expect most people on the Amazon book store are going to be American too so thought it just makes sense to spell it the US way - 'defense'. It does hurt me on the inside. I will probably keep spelling it the proper way (defence) on this site outside of this post about Self Defense Smarts. "Weapons possession and weapons use amongst children appears to be growing, and that is alarming, whether it's guns, knives, explosives or other various dangerous items or substances," he said. Young people have less concern for consequences. Some also have less inhibition to using violence against other people. They are however typically weaker than older people so they tend to be most dangerous when they hunt in packs or arm themselves. This story is an indication that the latter is increasing in some areas. A high-profile pro-gun activist was shot in the back by her four-year-old son after he found her pistol lying on the back seat of her truck just 24 hours after he boasted about his shooting skills online. This is likely to stir up debate between the two sides of the gun debate in the US.